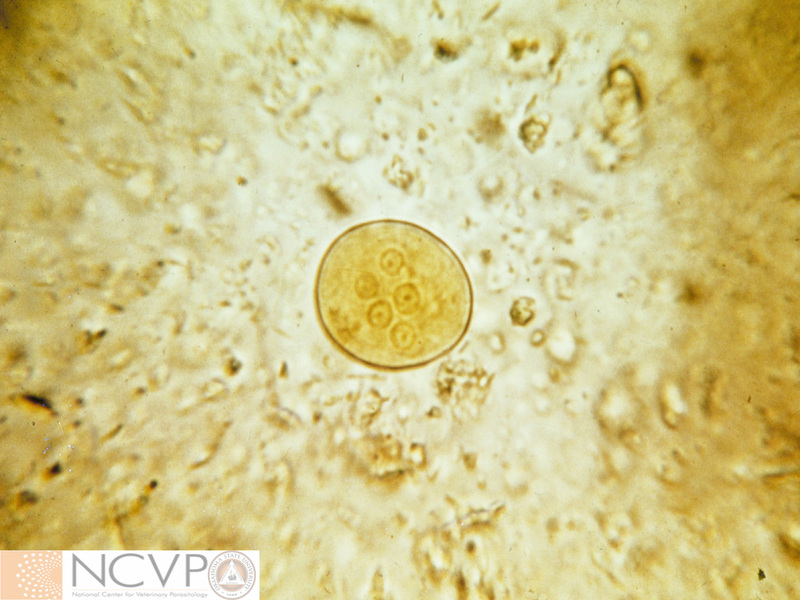 Cyst of Entamoeba coli stained with iodine from an infected olive baboon, Papio anubis. Mature cysts can have up to 8 nuclei. 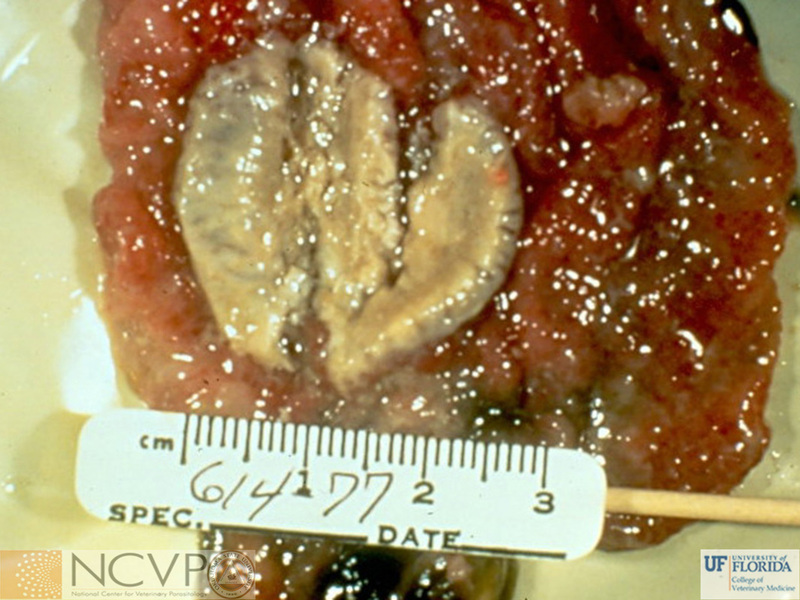 Entamoeba invadens trophozoite from tissue of a tortoise. 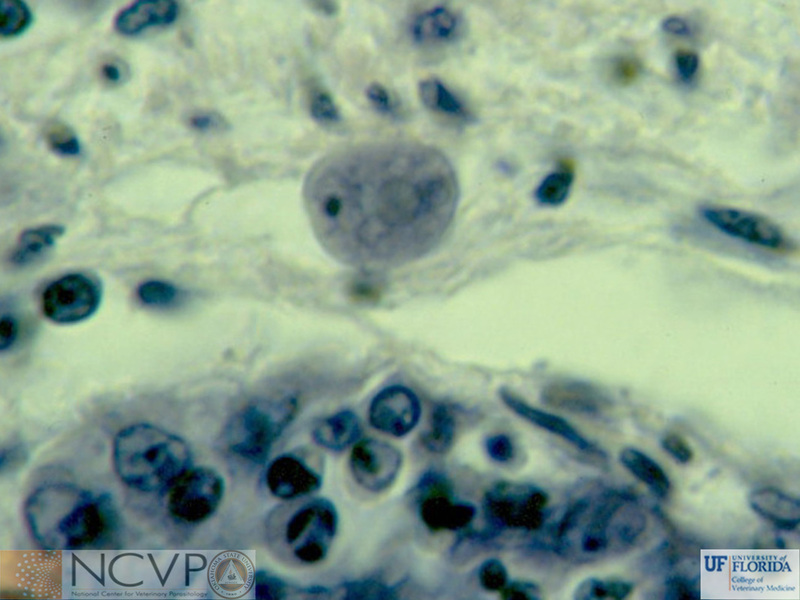 An important pathogen of captive reptiles, Entamoeba invadens is the causative agent of amoebiasis in reptiles. Trophozoites measure 10-38 μm by 9-30 μm and contain one to four nuclei. Feeding trophozoites in a section of brain tissue. 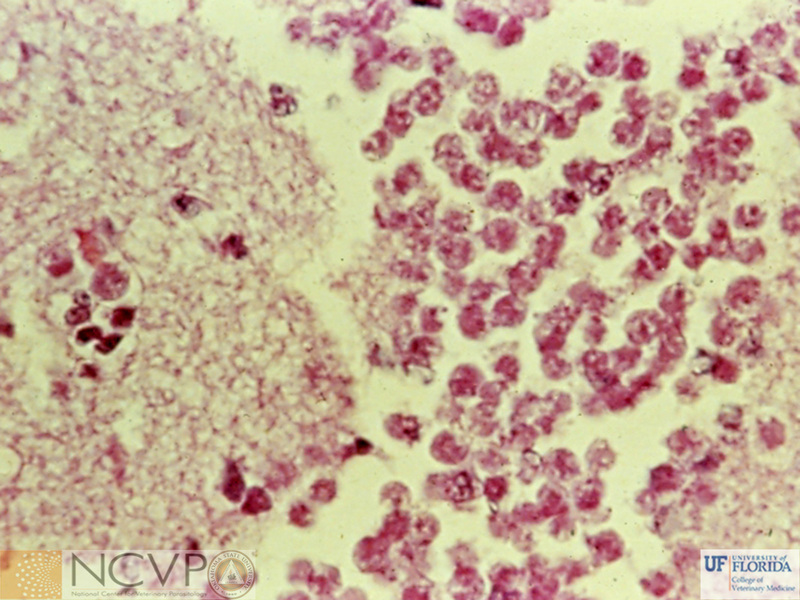 Naegleria fowleri causes primary amebic meningoencephalitis (PAM) in humans.